The former editor of Mashable and cofounder of DominateFund examines the psychological phenomena that captivate our attention - and how we can leverage them to draw and retain attention for our ideas, work, companies, and more. Whether you're an artist or a salesperson, a teacher or an engineer, a marketer or a parent - putting the spotlight on your ideas, insights, projects and products requires a deep understanding of the science of attention. 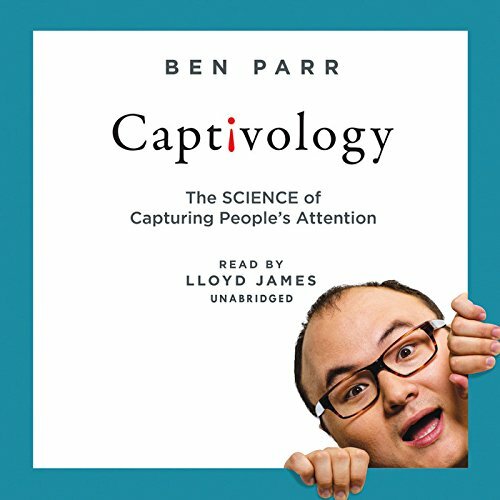 In Captivology, award-winning journalist and entrepreneur Ben Parr explains how and why the mind pays attention to some events or people and not others, and presents seven captivation triggers - techniques guaranteed to help you capture and retain the attention of friends, colleagues, customers, fans, and even strangers. Parr combines the latest research on attention with interviews with more than fifty scientists and visionaries Facebook's Sheryl Sandberg, film director Steven Soderbergh, LinkedIn CEO Jeff Weiner, magician Jon Armstrong, New York Times bestselling author Susan Cain, Nintendo's Shigeru Miyamoto, founder of Reddit Alexis Ohanian, and more - who have successfully brought their ideas, projects, companies, and products to the forefront of cultural consciousness. The result is an insightful and practical book that will change how you assign jobs to your kids or staff, craft a multimillion dollar ad campaign, deliver your next presentation, attract users to your product, or convince the world to support your cause. About: LEARN THE SECRET TO CAPTIVATING YOUR AUDIENCE. About: [Read by Lloyd James] The former editor of Mashable and cofounder of DominateFund examines the psychological phenomena that captivate our attention - and how we can leverage them to draw and retain attention for our ideas, work, companies, and more.